So long, summer, and aloha, autumn; that's what the cool and rainy London weather this week seems to be suggesting, at any rate. Here are a few of my favourite things from August, all of which can be enjoyed indoors! I first saw this David Lynch masterpiece in a student dorm room well over a decade ago. We spent hours trying to 'solve' the mysteries the film poses using the handy list of ten clues that the studio insisted Lynch included with the DVD. Since then, I've probably seen the film about ten times, but never on the big screen, so I was really excited by the chance to watch it at a late-night screening on Saturday night in the lounge screen at the Hackney Picturehouse. The low-level, almost fully reclined seating was very comfortable, although perhaps not entirely suitable for a late-night 2h30 film that blurs boundaries between dreams, reality and nightmares. If you haven't seen Mulholland Dr. yet, you should definitely seek it out and I would suggest trying not to read anything about the film in advance (don't worry; you can read up in advance of your second, third and fourth viewing). My brother recommended this review/interpretation of the film and it is a good read, although it is pretty epic and written in shouty caps. I've enjoyed a number of wonderful, meat-centric meals at the various Hawksmoor restaurants over the years. 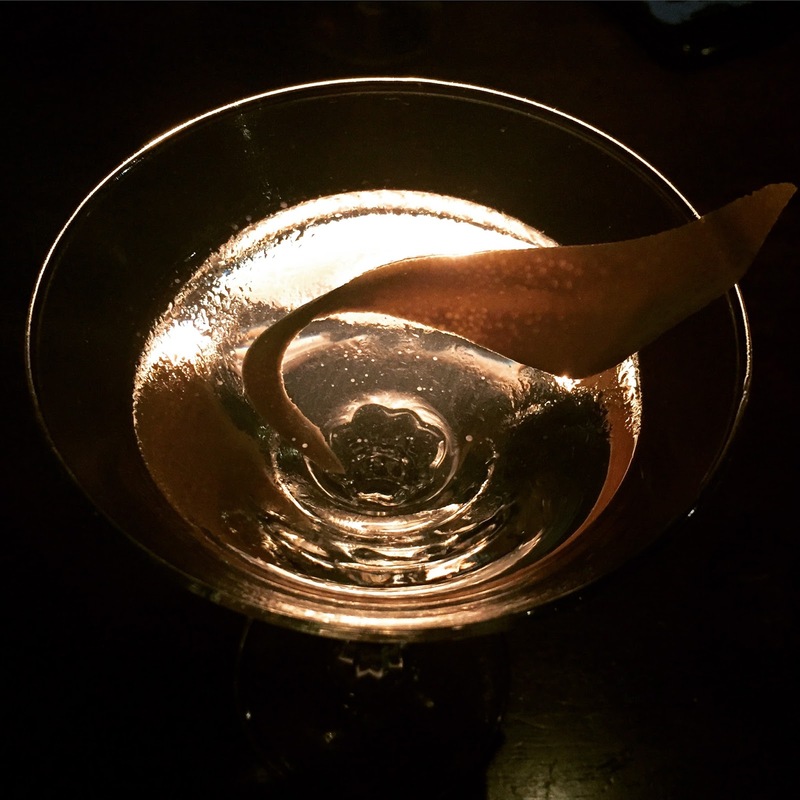 The food is great, but the cocktails are also superb and we went for a few after-dinner drinks at the Air Street location after dinner in Soho recently. The menu is organised by suggested position in the meal, from anti-fogmatics and pre-prandials to disco drinks. The drinks all sound so interesting and exquisitely well thought out that it can take a good ten minutes to read the menu and make your choice. Subversively, I went for a pair of anti-fogmatics: the Farewell to Arms (I can't resist a good literary cocktail), pictured below, with rum, maraschino, sugar and citric acid, and the Marmalade cocktail (gin, campari, lemon and marmalade). Both were expertly mixed, but I think my brother won the cocktail lottery, with his Full-Fat Old Fashioned (butter-infused bourbon with sugar). Decadent and delicious. I started watching Bryan Fuller's now probably doomed TV interpretation of Thomas Harris's books about the pre-Silence of the Lambs Hannibal Lecter after watching the first couple of episodes at a friend's house last summer. Will (Hugh Dancy), a young criminal profiler, must work with psychiatrist Hannibal Lecter (Mads Mikkelsen) to try to solve a series of violent murders. Although the audience knows Hannibal's secret, Will and his FBI colleagues (including Caroline Dhavernas and Laurence Fishburne) have no idea who Hannibal is. The show combines dramatic cases-of-the-week with the much more subtle development of the relationship between Will and Hannibal. At its heart, Hannibal is a bromance and a sensual one at that. The culinary artistry and the music are wonderful, but it's Mikkelsen's performance that really stands out. I thought that the second season dragged a little, but the third (and probably final) season is very well done. NB, probably not one to watch over dinner. 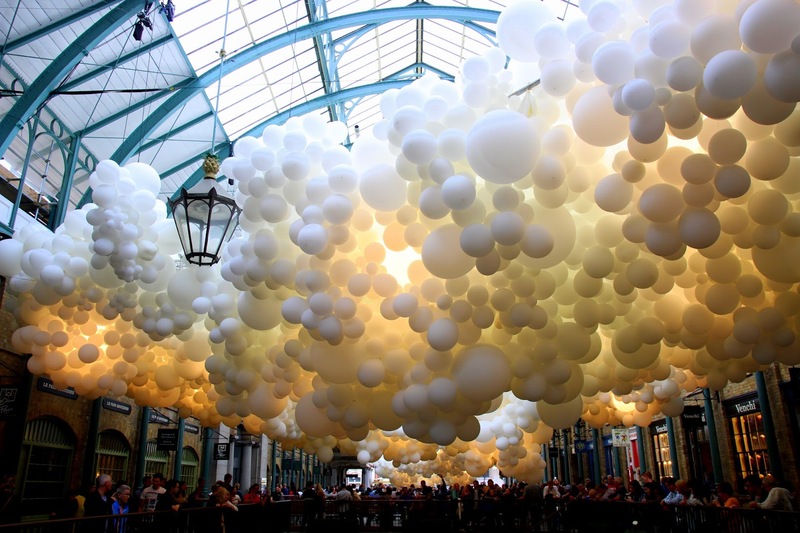 If you're in the West End of London between now and 27 September, it's worth making a detour to the Covent Garden Market building, where 100,000 white balloons currently fill the space, pulsating with light. The balloons are part of an installation called Heartbeat by Charles Pétillon, and they glow and fade before your eyes in a mesmerising rhythm. This time-lapse video probably gives you a better idea of what it looks like. As summer faded and some of the more interesting films began to replace silly blockbusters at the cinema, I got back into the habit of going to the movies more often. I didn't think Trainwreck sounded like my kind of film at first; I'm not a big Judd Apatow fan and it sounded a little like Jason Reitman's Young Adult, which underwhelmed me. Swayed by the profusion of positive reviews — and a £4.99 screening at the Peckhamplex — I caved, and ended up enjoying it a lot. Trainwreck is wickedly funny, sharp and self-knowing. One of the reviews I read described it as the Manhattan for Gen-Y, which isn't a bad comparison. Amy Schumer as the brash, often thoughtless, commitment-phobic men's magazine writer, and Bill Hader, as the sweet, but somewhat reserved and geeky sports surgeon she has to interview, make a great on-screen pair. Great cinema, it ain't, but it is very entertaining.